Open Mind Zen Naples is part of a lineage dating back to the time of the Buddha, 2500 years ago. OMZN formed as a group in 2010. Led by Laurie Lyons, the group met at various yoga studios and at Laurie’s home. In 2015, Laurie partnered with Andy Solis, a long-time leader in the local Buddhist community. Together, Laurie and Andy formed an intention to establish a center for practice. Just weeks later, in a beautiful space that was once a yoga studio, OMZN found a home. Unique to the Naples community, OMZN is a Zen Center where meditation training is the primary offering. 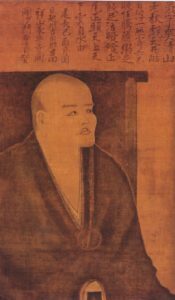 Our practice is a Soto Zen tradition, a form of Japanese Zen Buddhism founded by 13th century Master, Eihei Dogen. We are part of the White Plum Asangha, consisting of Dharma descendants of the late Maezumi Roshi; and part of a larger, unbroken lineage dating all the way back to Shakyamuni Buddha. To see this unbroken lineage, view our Lineage Chart.